Update: Rogers Healy tells me he has signed the representation documents to handle Khloe Kardashian and Lamar Odom’s Dallas lease. 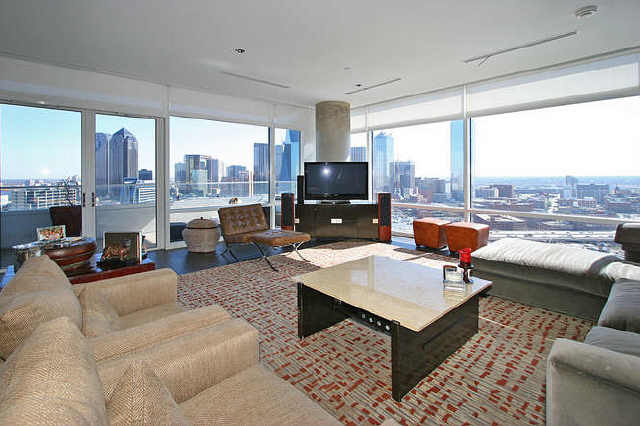 I hear they have looked at, and really really like, this two bedroom corner unit 2604 in the North Tower. In fact, they may be drafting the papers, but this unit could also be for Rob Kardashian, Khloe’s brother. The weekend was total exhaustive house-hunting over at The Ritz Residences and the Azure, where Joseph Gulloto showed Khloe, Lamar, Rob and his girlfriend all over. (They really liked the Azure, too, and talked about a one year lease over there.) And now I’m not so sure Allie Beth Allman is their agent, or only agent. In fact, I hear now it’s Steve Rigley and Rogers Healy at Rogers Healy & Associates. Though no papers have been signed: Rogers insists his company is repping Khloe.